Lock are used to secure containers from unauthorized access. 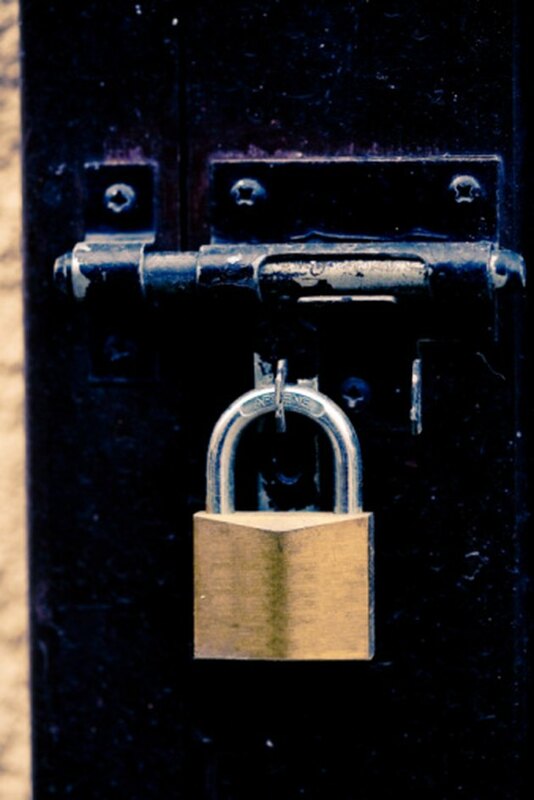 However, these locks can rust shut, you could lose the keys, or just forget the combination. In that situation you are left only with the option of cutting the lock off. There are a number of tools that you can use to cut off a lock depending upon how strong it is. The simplest tool for cutting locks is the bolt cutter. Essentially it is just a reinforced pair of scissors with a fulcrum joint for additional power. Bolt cutters come in a variety of sizes, with the longer-handled ones giving you more leverage for greater power. These tools can be purchased at any hardware store, and safety goggles are recommended in case a part of the lock flies off while cutting. A reciprocating saw is a saw with a blade that moves back and forth in front of the saw. Equipped with a metal grinding blade, this reciprocating saw can be used to cut through the bolts on the lock. Always wear safety goggles and a face mask while sawing metal to prevent metal dust from getting in your eyes or lungs. An angle grinder equipped with a diamond blade can be used to grind its way through the bolts on the lock. This is a very loud way to cut a lock and will generate a lot of sparks so it is recommended that you have a fire extinguisher handy. There are electric and compressed air versions of angle grinders, though electric ones are the most portable since they just need an electrical outlet. Always wear goggles and a face mask when grinding metal. Most powerful cutting tool is a cutting torch, which uses an oxygen-and-gas mixture to make a 4,000-degree-Fahrenheit flame. Technically you will be melting the bolt, not cutting it, but the effect will be the same. The torch uses two large pressurized gas tanks and a flow regulator. The flame is made with a cutting torch head, and you need to be careful with the torch head as any damage to it could lead to a fire.